I adore animals.. even cute little mice (as long as they are in cages). 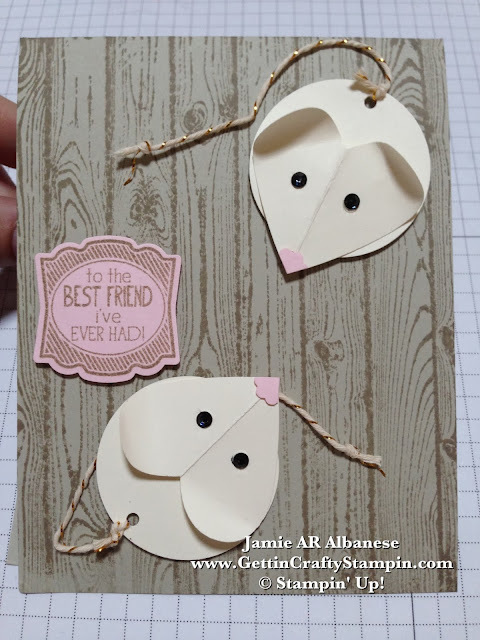 Creating this cute card hand-stamped punch art mice card for our recent Punch Art Card Class was a sweet way to deliver some smiles. Squeak some greetings in with this cute card. Did you miss out on my recent class? Don't be blue, click here to see upcoming classes waiting on YOU! 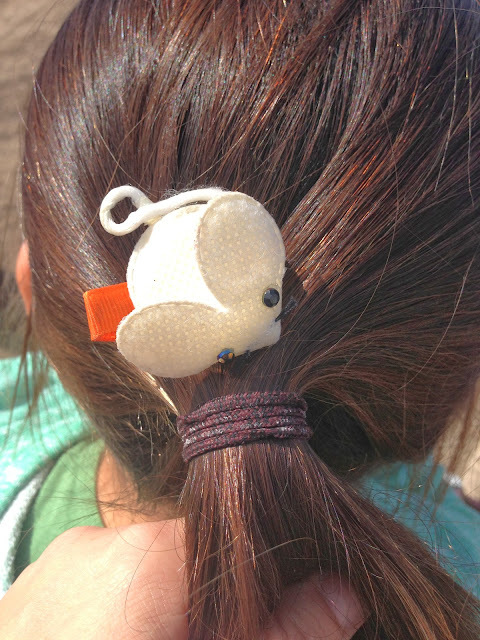 This sweet little mouse was inspired by a cute hair-bow in a my daughter's friend's hair. I couldn't resist recreating it with my own little twist. The highlight of a field trip we made to a Compost Plant (ewwww) this cute bow was a sweet find (and better than seeing the alive kind). The Label Love BUNDLE (saving 15% - YAY) has a great collection of sentiments. 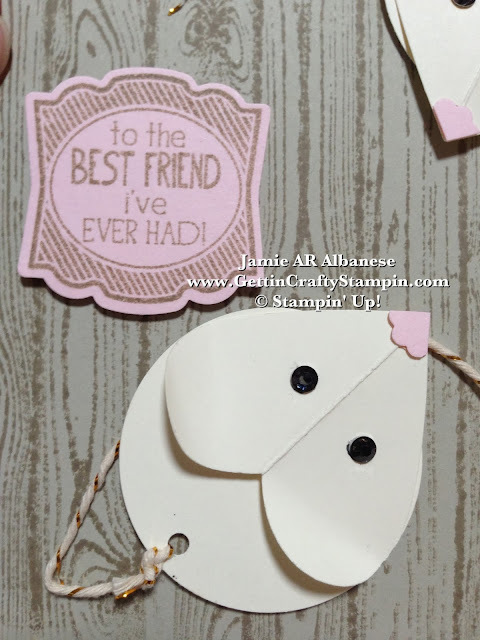 Stamping this 'best friend' greeting with Crumb Cake ink on Blushing Bride card stock, it pops out and ties perfectly in with this punch-art card. Create these cute punch-art mice with our 1-3/4" Circle Punch for the 'body'. The Full Heart punch folded in half adds towards to look of a face. Curl the edges of the 'ears' with the side of my Bone Folder for a raise look. 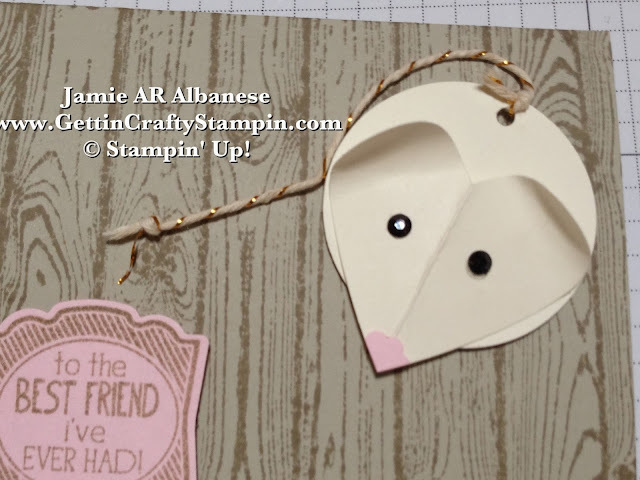 Add this cute nose with the flower punch from the Itty Bitty Punch Pack and the Blushing Bride card stock. Adhere to the tip of the heart with the Glue Dot. Trim it down, from behind, so it looks like a cute nose! 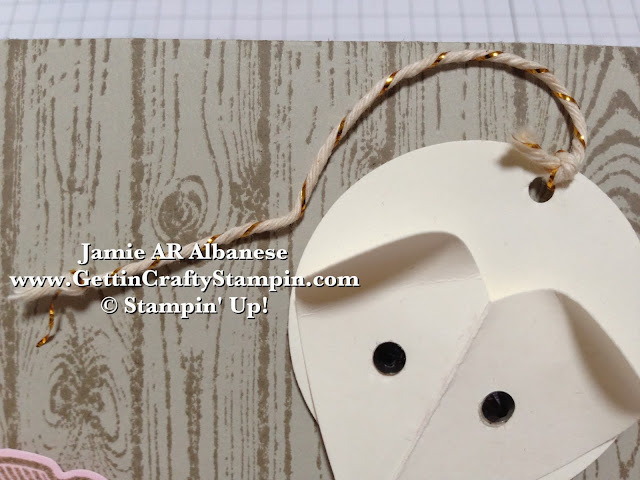 This cute but rustic card is adorable with the aide of the Hardwood background stamp using Crumb Cake ink on the Sahara Sand card stock card base. This reminds me of a cute barn door look.. perfect for this adorable mouse! What do you think? Leave a comment and let me know and any video's you'd like to see me teach! Anyone receiving this card will surely squeal (the good kind vs finding a real live mouse, I'm just saying - lol). 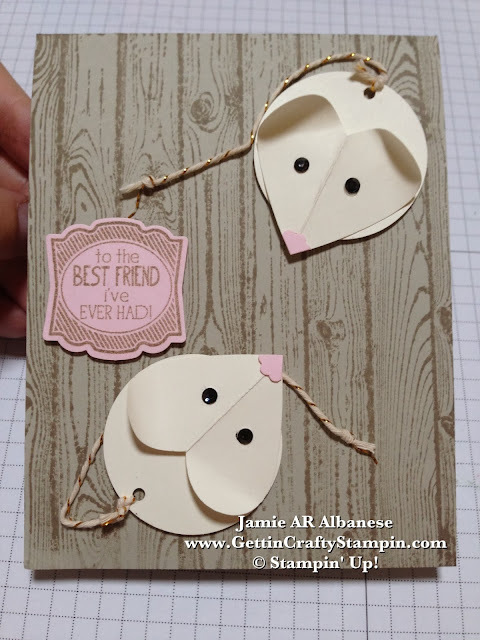 Squeak some greeting and cheer when you create this cute hand-stamped, punch-art mouse card. With rustic accents and a cute country feel, this card WILL go to myyyy best friend who now lives in Texas (but always was a cowgirl). Who would you send this card to? Leave me a comment and let me know! Make sure YOU join in on the fun in our many card classes! !